McCook’s brigade arrives at Cloud Church. Intense skirmishing with Forrest’s pickets causes him to detour to the right. 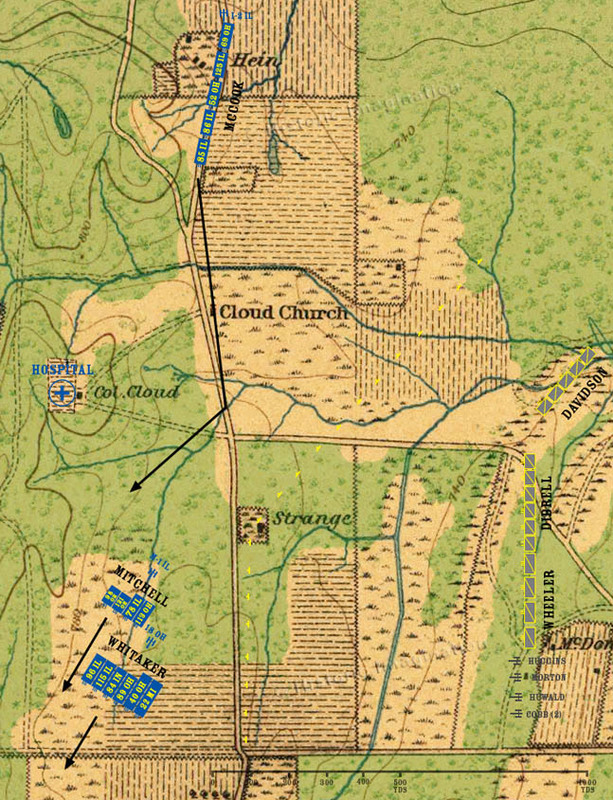 Steedman’s division finishes disengaging from Forrest and begins moving south.